Atlas maintains a large inventory of high density polyethylene pipe (HDPE), available for rental or sale in diameters from 4 inches (100 mm) to 18 inches (450 mm). In addition, we offer fittings, adapters and fusion services required for complete system installation. Our self-contained fusion machines are available for on-site HDPE pipe fusion and installation. 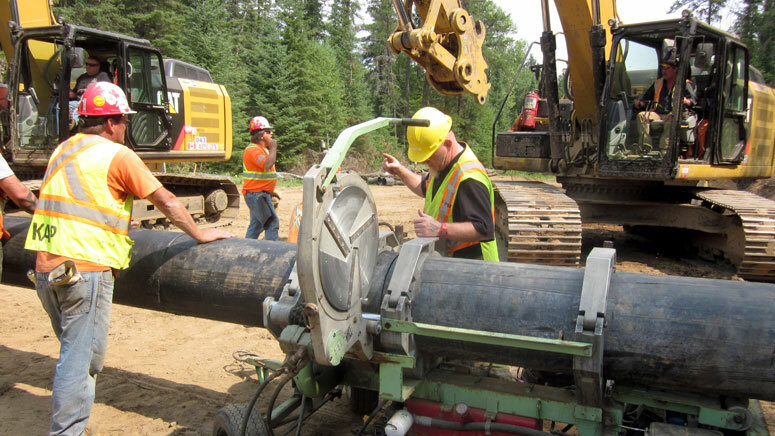 We also provide experienced on-site certified fusion technicians who use our machines to fuse HDPE pipe up to 18 inches (450 mm) in diameters.